This West Loop loft residence unifies four condominiums in a former Nabisco cracker factory from 1884. 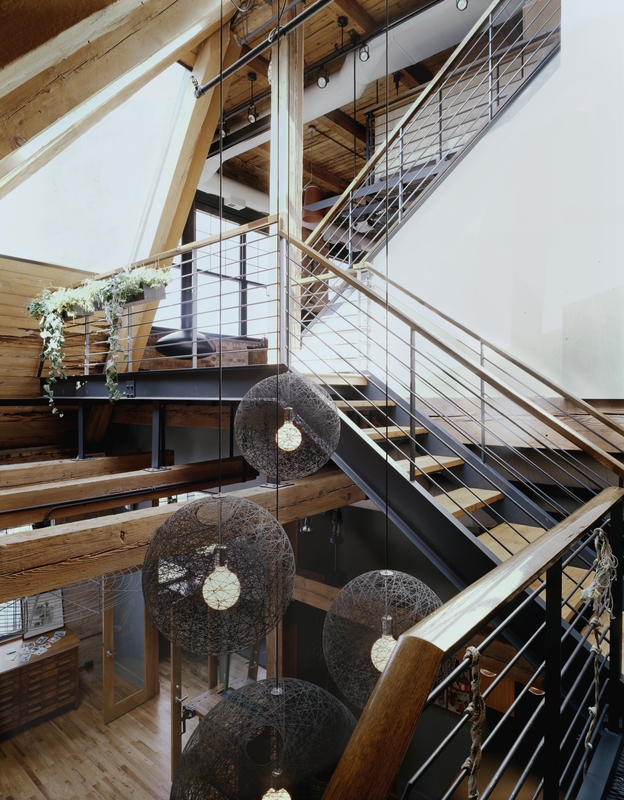 The residence is situated in the top northwest corner of a five story, timber-frame and brick building with double-height spaces, topped by a 360 degree-view roof terrace overlooking the Chicago skyline. This three level home has mezzanines at every level. A dynamic layering of cantilevered metal grate floors increase the live/work area and allow light to filter to the spaces below. Locating the kitchen and eating area in the center of the space creates a central social gathering and communal area. Fireplaces are used as focal points to mark both ends of the L-shaped living space, while custom reclaimed wood cabinetry weave throughout the house delineating territories and connecting spaces while working as storage to the owners’ large book collection and travel treasures. 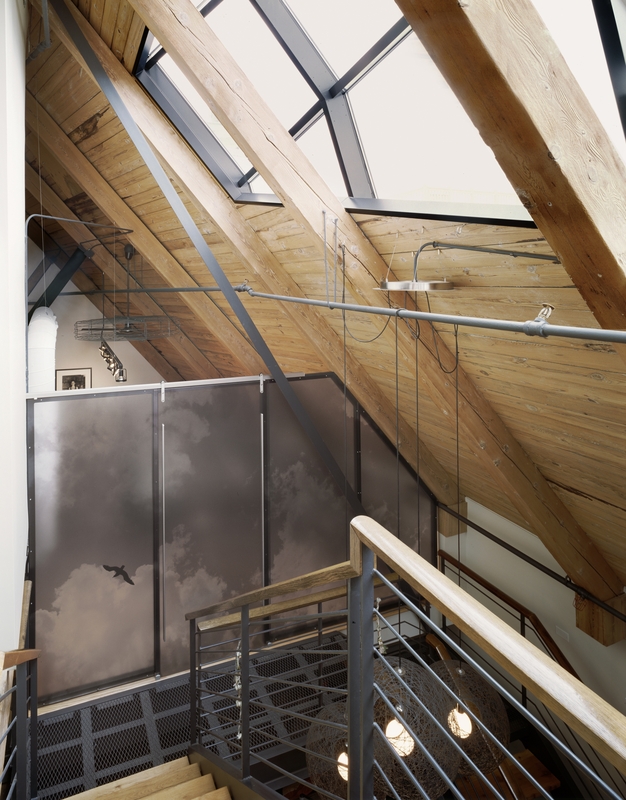 The addition of a unit below added the opportunity for natural light through a custom built twenty-foot skylight at the south end of the condo as the space wraps down to include more living and work spaces. Treating the space as an outdoor family room, the roof terrace expands the lofts living space, providing room for entertaining, playing and relaxing. Stainless steel mesh panels delineate the garden and deck area from the utilitarian, mechanical roof space, while still allowing the frequent strong winds to pass through. The perimeter of garden and small lawn makes use four types of metal mesh in an irregular pattern of panels mimicking the Chicago skyline. An undulating ipe wood deck and native prairie glass planting soften the urban industrial setting underneath an asymmetrical wood trellis that demarcates the outdoor living room. 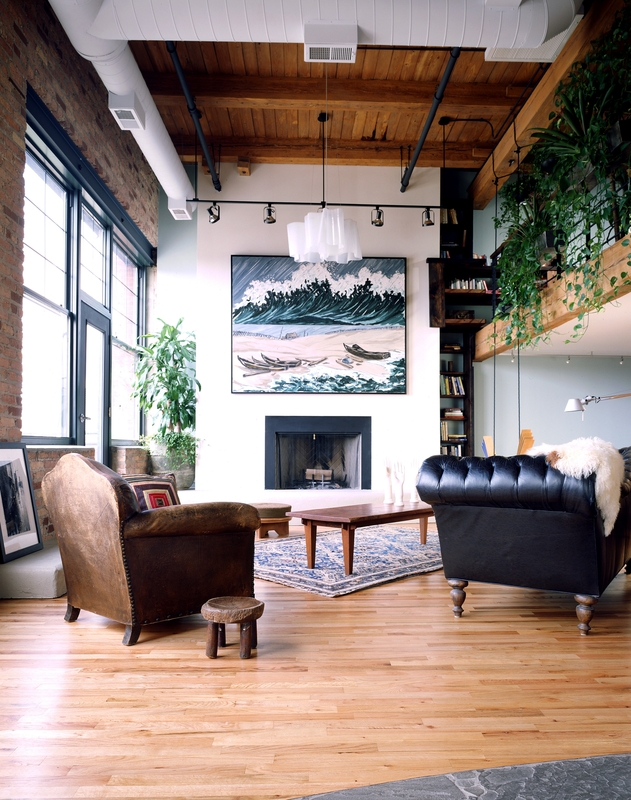 This loft is gracious in scale, but offers spaces for exploration and inspiration.